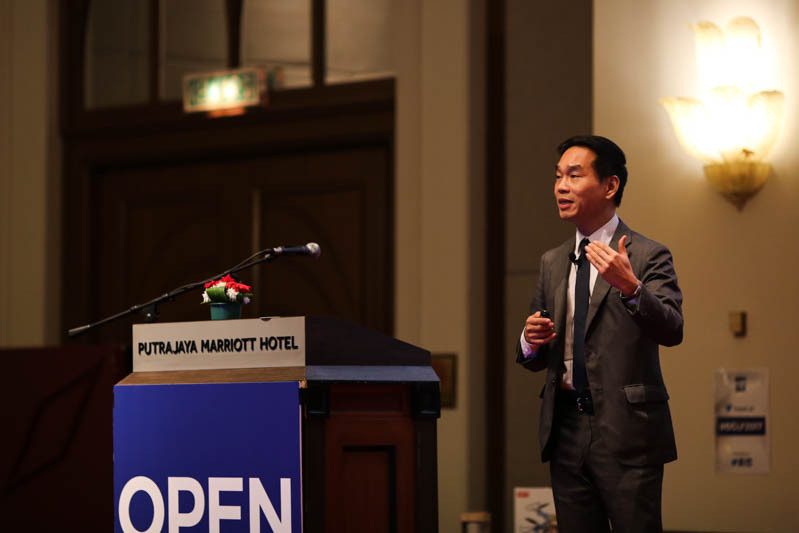 Mr. Edwin Lau was an invited guest speaker at the Malaysia OpenGov Leadership Forum held on March 16 2017. He shared on the 3 pillars of OECD’s recommendation on Digital Government strategies, which are building openness and engagement into the way ICT is built, governance and coordination to create the ability for government to come together as a platform, externally and internally, and capacities to support implementation. OpenGov spent some time with Mr. Lau to learn more about his work at OECD, the top challenges in public sector reform, trends in e-government development and more. Could you tell us more about your role as the Head of Public Sector Reform Division at the OECD? My division works with countries to better understand the ‘black box’ of government in order to help make the public sector more responsive and open to citizens, and more productive and innovative in the way that it works. This involves looking at processes such as HR and civil service reform, as well as governance of public sector ICT, and identifying and responding to the barriers to innovation in the public sector. I am particularly proud of two of our initiatives: the Observatory of Public Sector Innovation which supports a virtual community of public sector innovators to share initiatives and experiences and to share with them the OECD’s work on public sector innovation; and Government at a Glance, a biennial publication (the next edition comes out this summer!) which provides a dashboard of key international indicators on public sector performance. You established and led the OECD’s project on e-government in 2000-2007. Could you tell us more about that project? Were there any follow up projects or initiatives based on that e-government project? The OECD’s e-government work is still going strong, but it has evolved into work on digital government, in recognition of the fact that data and digital processes now underlie just about everything that government does and is no longer just about the web interface for service delivery. The OECD produced its Recommendation on Digital Government Strategies in 2014 to assist countries in capturing the value of digital government technologies to be more open, more joined-up and more effective. All OECD countries – including the U.S., Canada, Mexico, most of Europe, Australia, New Zealand, Japan and Korea – adhere to this recommendation as member countries, but so have 9 non-OECD countries, including Egypt, Morocco, and Colombia. A natural offshoot of this is our work on Open Government Data: we have published an OURData (Open, Useful and Re-usable) Index that benchmark country practices in Open Data and have conducted Open Data reviews of Mexico and Poland. Having a vast experience with public sector reform and helping governments to modernise, what do you think are the top 3 challenges or issues with public sector reform in the current context? 1. Public servants are not good at identifying and managing risks. Innovation by its definition entails novelty, and therefore, requires organisations to accept a certain level of uncertainty and risk. The public sector often has a lower level of risk tolerance than the private sector, as it tends to overemphasise process. On top of that, change makers do not get recognised nor rewarded. This culture of risk aversion is often reinforced by a management system that fails to recognise and reward innovation. For many public sector leaders, the rewards for successful innovation are low, even if there are huge gains for the public sector and citizens as a whole. 2. Traditional problem-solving structures are not adapted to the complexity of today’s issues. “Wicked” problems in society can no longer be solved by a single government body acting alone. Structures need to allow for government organisations to think about how they fit into the wider public sector ecosystem, and collaborate more effectively to solve common challenges across levels of government. 3. Lack of flexibility in allocating and managing financial resources. Overly rigid budgeting and financial management rules and procedures can hinder innovation, since resource investment is often required at various stages in an innovation’s development. Also, the benefits of innovation can often spread to different areas than those who made the initial investment. This is especially true in times of austerity, when organisations are asked to invest in innovations to find efficiencies that result in government-wide savings. E-government is a big buzzword now and many governments around the world (especially in the ASEAN region) are, in varying stages, implementing different strategies and measures to become ‘digital’ and deliver more e-services to citizens. What are your thoughts on the future and direction of e-government development in the next 3-5 years? Digital technologies are part of the everyday lives of citizens and businesses in OECD countries. The overall expectations of service users have risen to new levels in terms of quality, convenience and cost-effectiveness, requiring the rapid adaptation of almost every business area. The public sector is not immune to this revolution underway, being now daily challenged to adapt its internal processes and service delivery practices to the digital transformation of economies and societies. The challenge nowadays is no longer to introduce digital technologies into public sector activities, but to integrate and embed them right from the start into governments’ efforts to modernise the public administrations in all policy areas and at all levels of government. In line with the mentioned Recommendation on Digital Government Strategies, the OECD is currently working with Governments around the world to help them shift from an e-Government paradigm to this new Digital Government imperative. I have seen ASEAN countries invest in a big way in digitising their governments, but it is not just about spending money, it is also about understanding which initiatives will bring the greatest returns and have the most impact with citizens and businesses. Earlier, I mentioned our Government at a Glance series. After producing a Government at a Glance for Latin America and the Carribean, we have been working with the Asian Development Bank to produce a SE Asian Government at a Glance publication which will benchmark digital government, open government, strategic human resource management, and public budgeting practices in procedures across ASEAN and in key OECD countries. More and more indicators in the various public governance areas are built to measure the implementation of OECD Recommendations. These Recommendations reflect a common understanding on the main principles governments should follow, for example on digital government. With the regional editions, non-OECD countries‘ governance practices are also benchmarked against these principles effectively broadening their reach. The first edition of the publication is expected to be released in the first quarter of 2018. Governments have an imperative to ‘innovate’ and deliver more value to citizens. In your experience, what does public sector innovation really mean and do you think it is a ‘top-down’ or ‘bottom-up’ approach? Public sector innovation is not about the latest technology craze or even necessarily about uncovering a new practice that exists nowhere else in the world. It is about enabling people – civil servants, citizens, businesses – to bring forward and test their ideas on how to do things better to meet local needs. We recently partnered with the Government of the United Arab Emirates (UAE) and its Mohammed Bin Rashid Centre for Government Innovation to publish a report on Global Trends in Public Sector Innovation. The report found that innovation comes from the power of citizen’s ideas, but that governments have a critical role to play in terms of identifying and reducing bureaucratic barriers, building open, transparent and trust-based relationships with citizens and fostering an enabling culture that supports innovation. While innovation might not be top-down, government organisations can easily stop innovation by being too risk adverse, failing to encourage new ways of thinking and working or by not recognising ideas that have the potential to be broadened across government for bigger impact. Public-private partnerships (PPPs) have been happening for a long time but it seems to be expedited in the current age of technological disruption. What are your thoughts on PPPs in the current public sector landscape and how should governments adapt in the way they work with the private sector? We believe that PPPs have an important role to play in unlocking public value, but they are also not a panacea. The digital transformation is inviting governments to shift from a citizen-centred to a more citizen and community-driven approach. While digitisation in and of itself is not necessarily transformative, when greater openness and digitisation come together, they pave the way for new collaborative practices. This new environment allows innovative distributed capabilities frameworks where private stakeholders can make available their expertise, financial and technical resources, promoting new public-private business models. Several social actors are also heavily connected and assuming themselves as early tech adopters, inviting governments to collaborate with them to better engage citizens, develop policies and deliver services. In order for this to happen, however, governments need to make new investments in the digital and project management skills of their civil servants.